When desire crosses a certain threshold, becoming more immediate, pulling you by the collar to demand your attention, it takes on new dimensions. When things like this happen, we need new words. Desires become cravings. Cravings often present us with either a sense of conflict–something to battle against and overcome;- or guilt–we shamefully submit to something that we feel powerless to resist. We can crave certain foods, relationships, the idea of what a certain lifestyle will provide us, and all sorts of experiences. Cravings are visceral. Invariably, they imply a very physical component. We feel cravings in our bodies, though they often have roots in emotional longings. They remind us of the ebb and flow, and ultimate unity, of the physical and non-physical. And the reminding doesn’t have to stop there. We can learn to utilize cravings as signposts, calling us to make distinctions around what is true and real for us. I concluded that cravings are the more pronounced or extreme aspects of our habits, and even beliefs. Cravings are not necessarily addictions, however, addictions, by nature, necessarily contain cravings. We’ve all heard the standard definition of addictions: you can tell you have one when it disrupts the other areas of your life. Addiction throws you into a great imbalance. So the first thing to determine is if your craving functions as part of a larger addiction. According to Merriam-Webster a craving is: “an intense, urgent, or abnormal desire or longing.” This doesn’t necessarily convey a blanket “bad” connotation. The word “abnormal” probably comes closest. But we live in a world where great leaders, great love, great courage, are often abnormal. Understanding that full blown addictions are a different topic, we’ll focus on a more benign and nuanced exploration of cravings by drilling it down this way: sitting with and getting into the message of your cravings puts you in touch with an extremely personal, fundamental, and often challenging question. Do I really need to form a healthier habit, or am I fighting against something that is actually in my best interest? In other words, what’s your better instinct? And what does a “healthier habit” even mean to you? Do I listen to the advice of others (assuming they have qualified themselves), or myself? In personal development and spiritual literature, we always hear that listening to your inner voice is the way to go…and it is, generally speaking. But there are a couple of kickers here. First, you are not an island, so sometimes the wisdom you need to hear comes through others. Secondly, cravings can masquerade as, or morph, our innermost voice. Justification and excuses easily creep in. And this is where confronting cravings can be a spiritual exercise. It takes a degree of discipline and inner fine tuning to separate the wheat from the chaff. And maybe, your craving is indeed of the positive, constructive variety–what others may scoff at as a futile obsession could be your call to greatness. History tells us that story again and again. Perhaps you turned a corner and overcame a habit, only to find out that after some time of living with the new habits, those too began to wear thin and reveal cracks. This is where we need to be easy on ourselves, remembering it’s an eternal adventure we’re on, and we’ll always be making new distinctions and evolving. We’re all just swinging across the monkey bars, making our way. Just keep swinging from one monkey bar to the next. Keep going for what feels good and true and expansive and what you’re at peace with. The expression of that will grow, and yes, changes; you will be lead to constantly form new skin then shed it. As for slicing through the lessons our cravings put us up against, there are a few things we can do. The first is something very familiar: practicing gratitude. The cravings, like emotions, are a communication signal, and therefore, contain a treasure of self-knowledge waiting there for you, if you choose to unlock it. That’s certainly grounds for a thank you! Secondly: truly ask, what’s real, and what’s just your mind’s excuses? Commit in the beginning to delve into your craving’s message. It’s well known that parasites, yeasts, and all kinds of nasty stuff who use your warm body as a host feed off of certain sugars, bread products, processed foods, etc. Like any living organism, they’re designed to survive and thus affect your chemistry, making you think you want something, when it’s really for them. That’s why cleansing is a paramount first step in a diet change. We can look to that as a metaphor: there are parasitic thought forms that “infest” us when we agree to certain beliefs or carry out business as usual for certain groups we may be a part of. 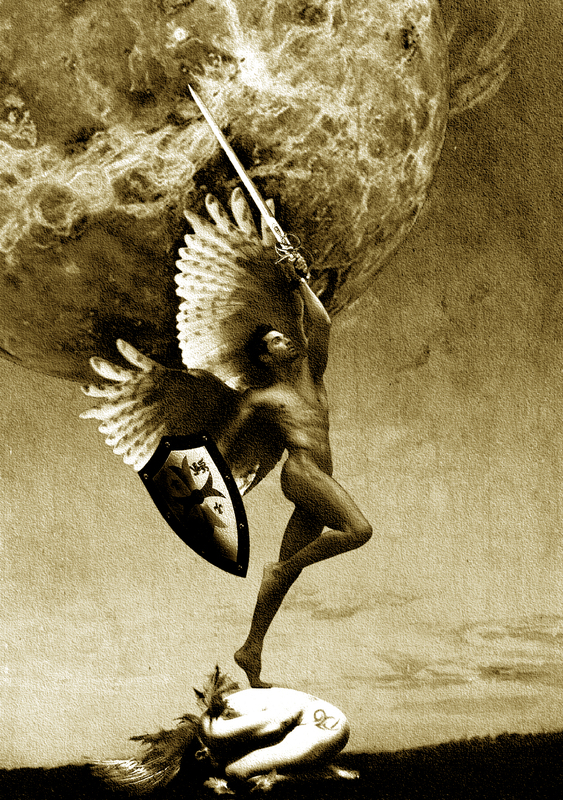 So again, this is where we are called to strength, cleansing, a diligent personal path; being a spiritual warrior. It’s something you must go alone. Only you can determine how you have cleansed yourself, and what your desires and cravings mean. Some people feel that they can easily transcend the parasite question (physical or thought form), or that it’s too simplistic an argument. Certainly, hearing such an idea and then worrying about being controlled by something outside of yourself just creates more fear, and trading one fear for another is probably not what you want. To continue with the subject of food (literally and as a metaphor), some say they or others can eat any kind of food and transmute the content. 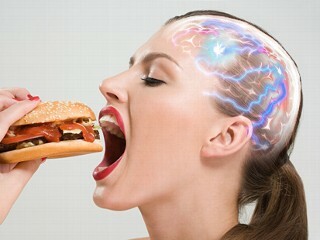 Or that while food may help a lot, consciousness trumps it. There are certainly tuned-in people who eat fast food, as well as miserable people with pristine diets. All of it brings us back to this: we are extremely dynamic and quantum beings. While the simplest answers may be the most useful, and the fundamentals of love and presence remain as our alpha and omega, our navigation of this life brings with it mysteries and complexities. My own explorations of cravings left me both edified and humbled, reminding me again how individuals make choices for reasons I can never sit in judgement of. Let’s all commit to our own presence and learning as we attempt to handle the forces that influence us, offer help to those who seek it from us, and be gentle and forgiving to ourselves and each other as we all make our way across the monkey bars. 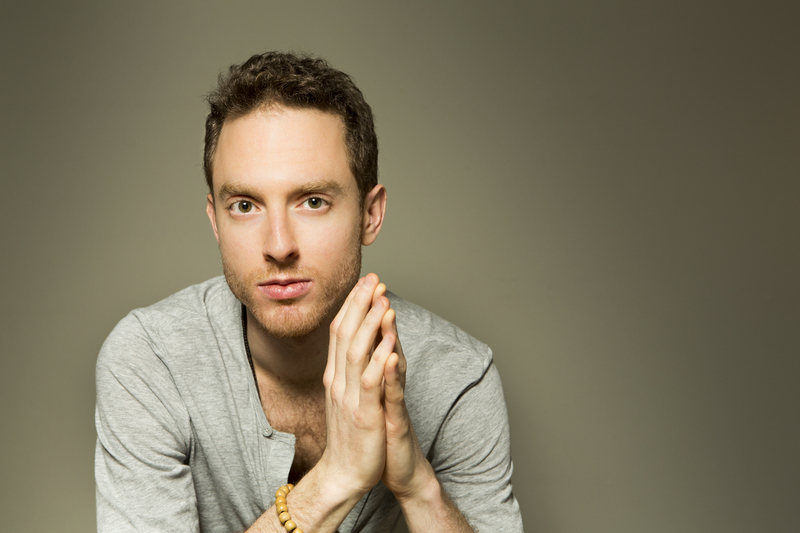 Jared Domenico is, among other things, a musician, energy healer, and communicator. His Chakra Center column, Ever Onward, often utilizes topics that are atypical to spiritual seekers as springboards to discuss transmutation and growth, and to create re-framed perspectives, more understanding, and broadened points of reference. JaredDomenico.com, which started in Feb. 2013, is where you can find him online.